Whew, it’s been a busy week and it’s only Tuesday. I’m on call for work this week and got three calls at the gym tonight while trying to complete a run. Ugh! I got through it and it’s been quiet since. 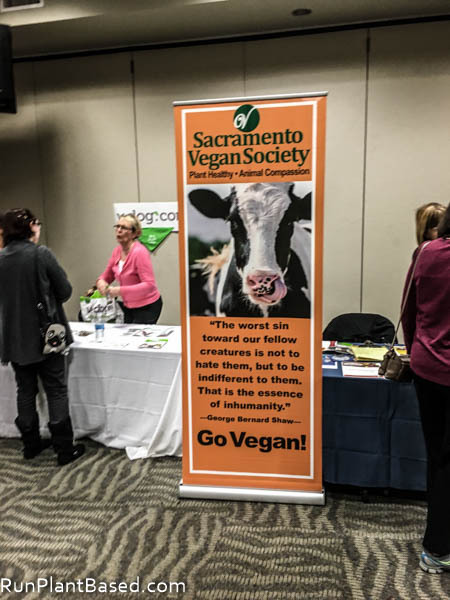 Saturday we had SacTown VegFest which was exciting because it’s the first vegfest organized by the Sacramento Vegetarian Society and 100% vegan. I got to help out a little with graphic design and during the event, but I plan to help out even more next year. 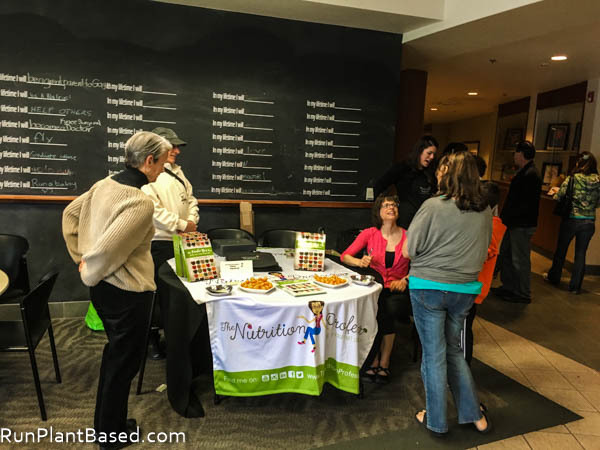 Happily it was a huge success getting more attendees than anticipated and lots of traffic for the vendors! 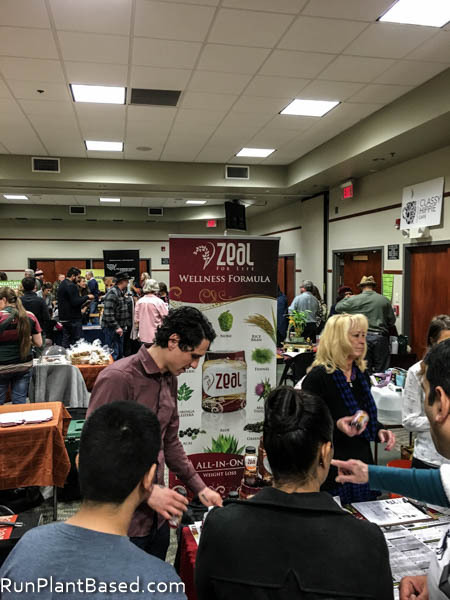 The vendor area was packed all day! 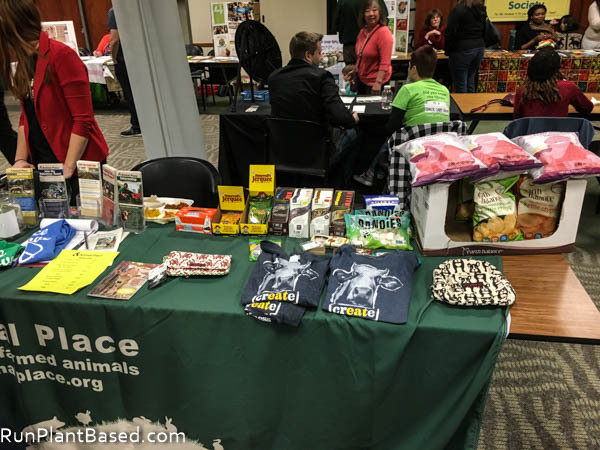 And lots of goodies were sold like these cute products from Animal Place. I went home with two containers of cashew cheese from The Cultured Kitchen. 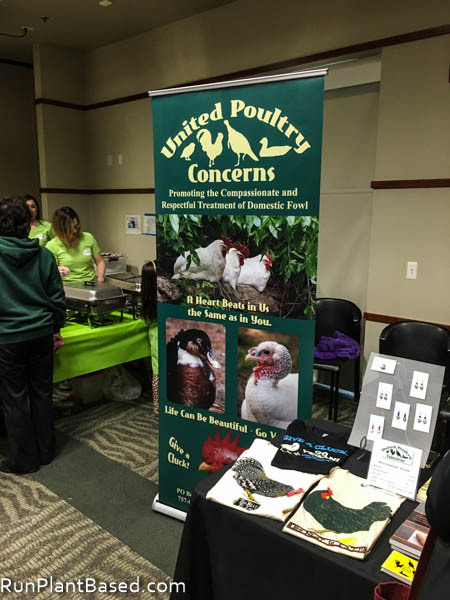 And great stickers and information from United Poultry Concerns. 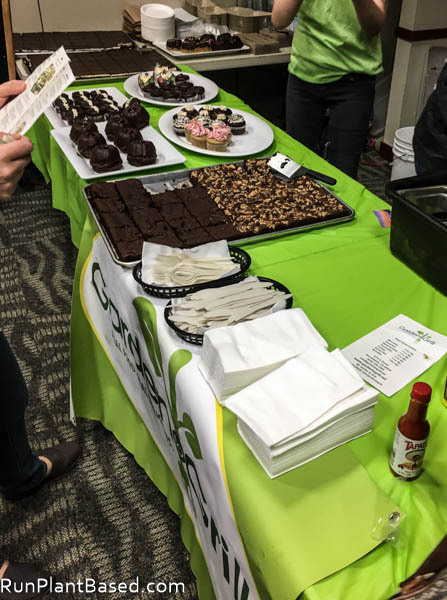 Garden to Grill was there serving vegan sliders and a collection of amazing desserts. 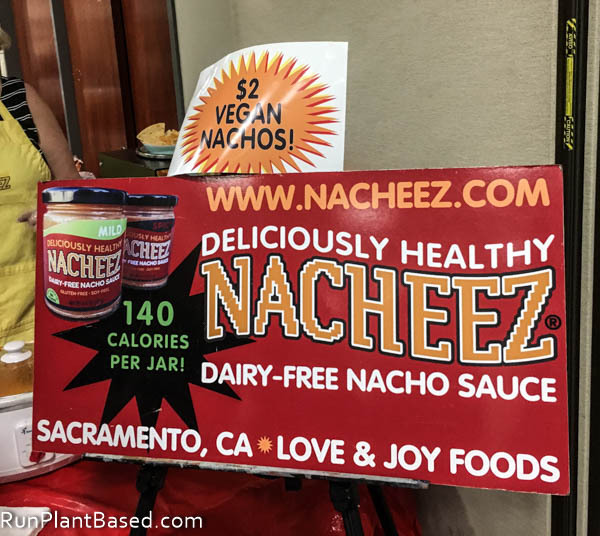 Nacheez was also there with tasty cashew nacho cheeze, the spicy flavor is just perfect! Of course V-dog which is great vegan dog kibble our dogs eat everyday. Lots of people trying and enjoying Arbonne products. And me restraining from loading up on vegan chocolate! 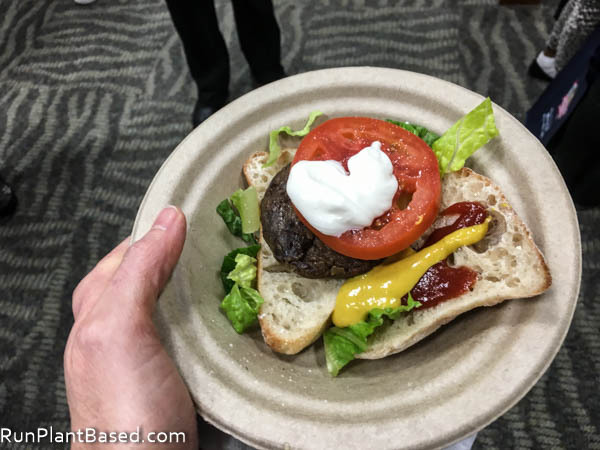 I did enjoy a vegan slider from Garden to Grill. 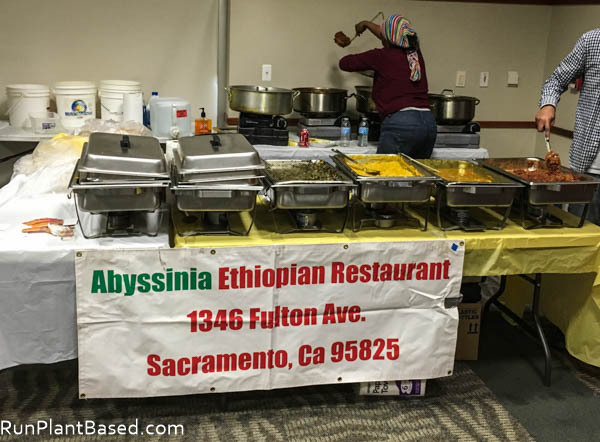 And shared a sampler platter of vegan Ethiopian food from Abyssinia Ethiopian Restaurant with my sister, yum! 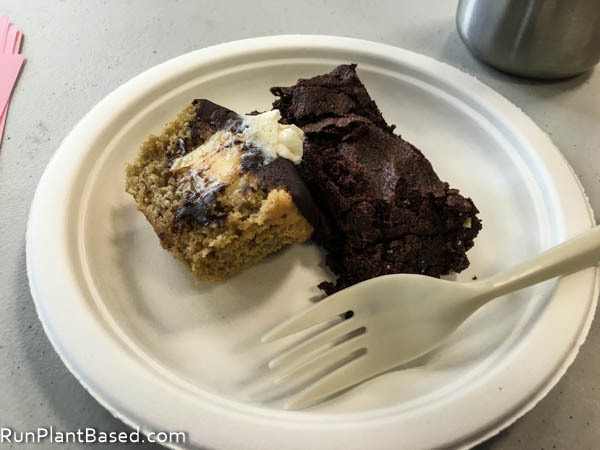 Then we split desserts from Garden to Grill before my volunteer shift began. 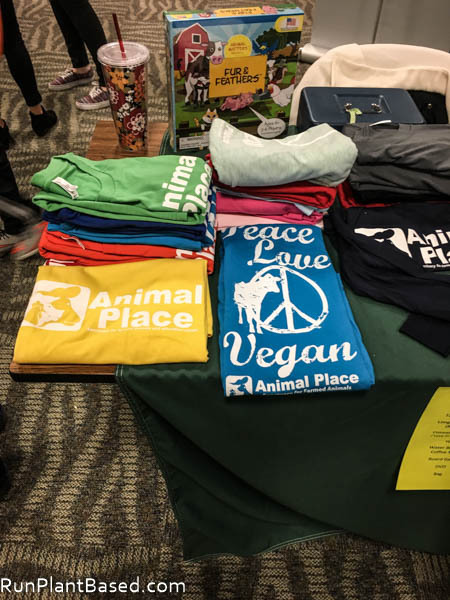 I got to be a greeter chatting with people coming to and leaving VegFest for a couple of hours and rocked my favorite Meaningful Paws sweatshirt for it. 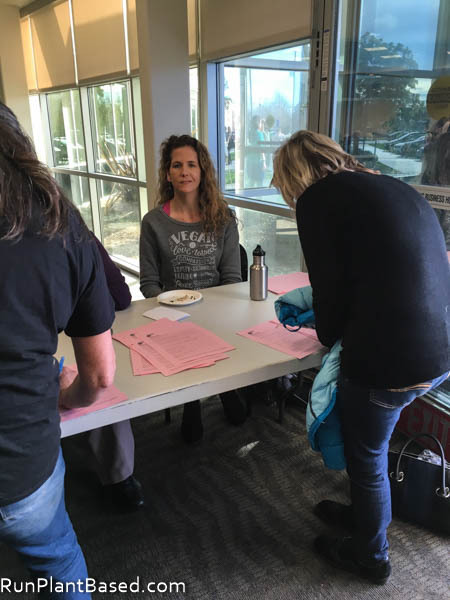 And that was an awesome experience because I heard a lot of rave reviews from attendees about the event, how enjoyable the sessions were by book authors, doctors, chefs, and activists. 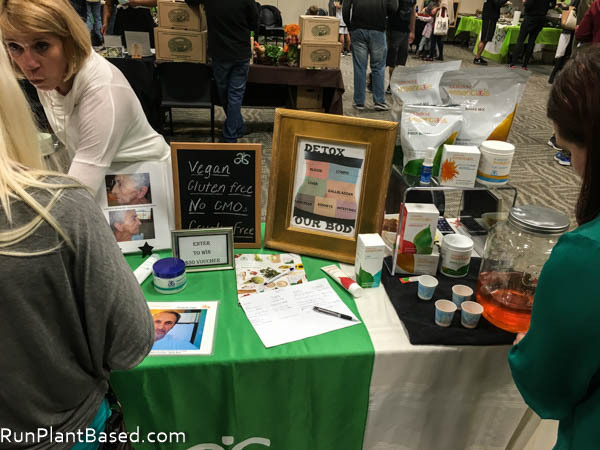 Also loved the information in the vendor area and seemed to be really feeling inspired. 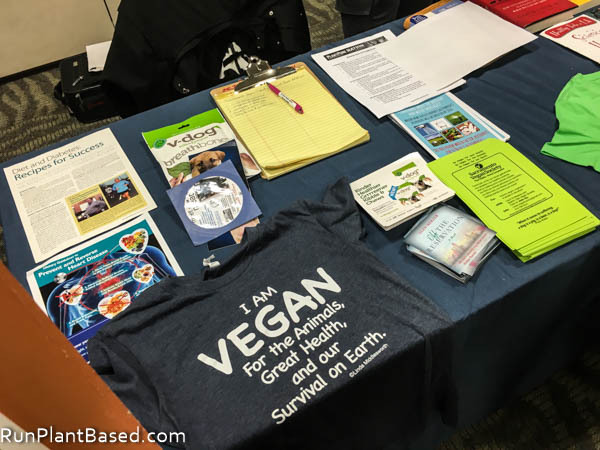 One guy came with his family and told me he has PTSD and feels stressed out and uncomfortable in crowded situations, but did not feel that way at VegFest because everyone was so nice and positive. Awesome! 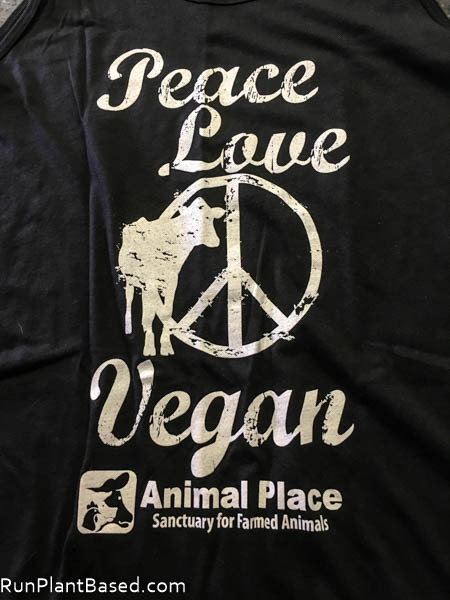 That’s how all vegans should be to everyone! I came home with lots of new reading material to read and distribute and fun stickers to further decorate my gym water bottle. And a new tank top from Animal Place to wear to the gym. It was an awesome and inspiring event, I’m already looking forward to making next year’s even bigger! Sure and it’s great – like a tangy cashew hummus style spread! Thanks, it was a great time and looking forward to making it bigger. 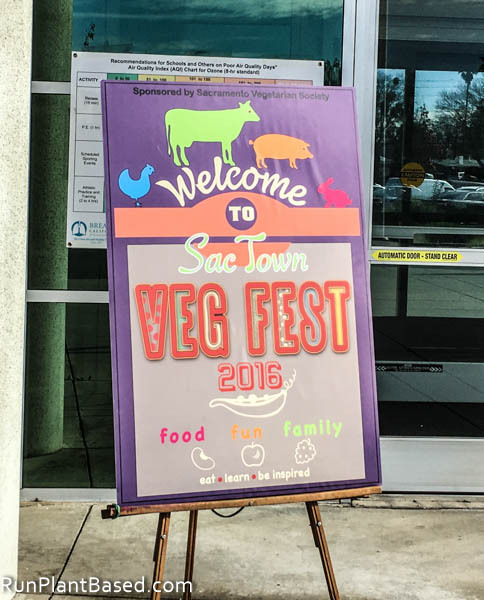 What a fun (and no doubt delicious) event! I wish I could have been there. 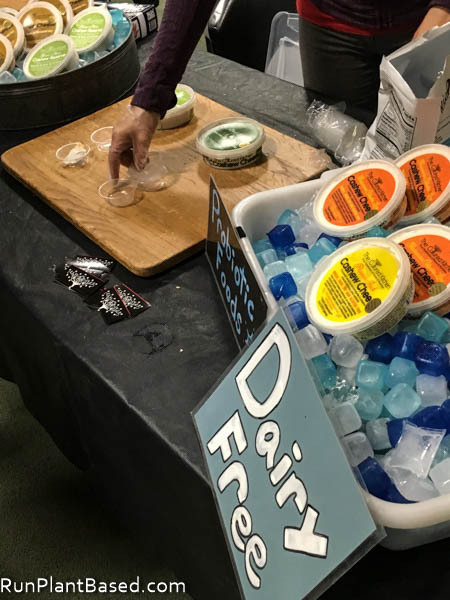 I would have been all over that cashew cheese, and of course, the incredible desserts. Oh yes on the desserts, the peanut butter brownie from Garden To Grill was amazing! 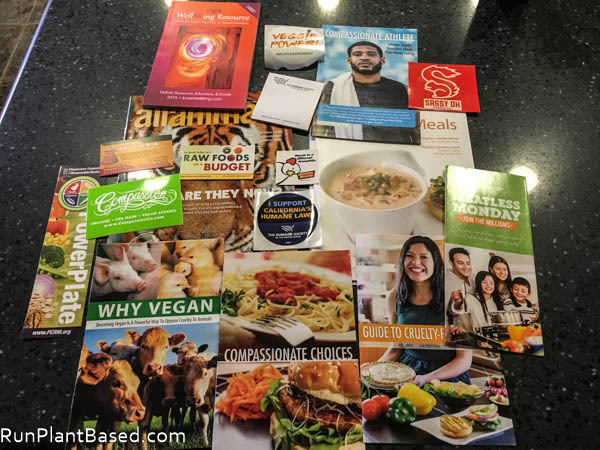 This looks and sounds like the Chicago vegan fest that Alex and I went to last fall. It’s so nice to be in a big building filled with like minded people. I can see why the man who has PTSD felt comfortable. Sure, it was such a great and positive event. Really looking forward to next year! Sounds like a wonderful time! 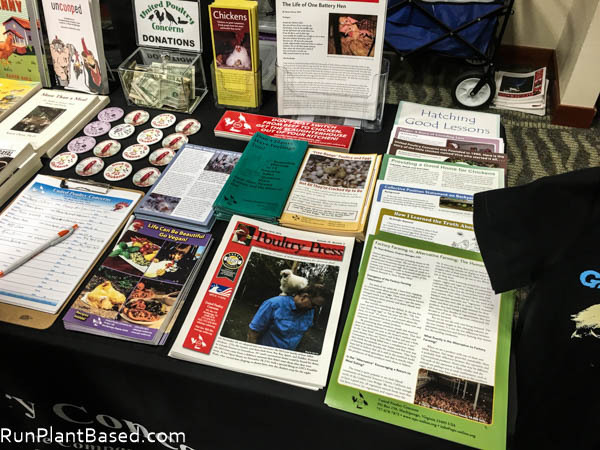 Look at all those reading materials and the vendors are like walking thru Utopia!!! Thanks, it was a successful event!